Miranda headed home a dramatic late winner as Brazil beat Argentina 1-0 in the Saudi Superclasico on Tuesday night. The Inter Milan centre-back rose highest to meet Neymar's 93rd-minute corner as Brazil edged past their fierce rivals in the King Abdullah Sports City in Jeddah. And that proved to be the difference between the two South American rivals in a contest packed full of Premier League-based players, including Manchester City's Danilo, who was substituted with an ankle injury. Miranda's late goal spoiled an otherwise strong defensive performance from Argentina, who contained Brazil for long periods. Casemiro came close with a 25-yard free kick manufactured by Neymar that flew past Romero's left post. Then Nicolas Otamendi stuck out a boot to deflect a diverted shot from Richarlison in the last minute. 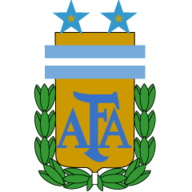 Missing from Argentina's line-up were City's in-form forward Sergio Aguero, Paris Saint-Germain winger Angel Di Maria and Lionel Messi. Messi sat out Argentina's last three matches, all friendlies, since the country's disappointing last-16 elimination from the World Cup in Russia. 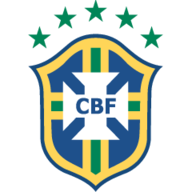 It was the 104th time the South American arch rivals have faced each other in an official match, with Brazil marginally ahead on 41 wins to 38, with 26 draws.